Universal Orlando like many theme parks has a system for priority boarding of attractions. At Universal Orlando, the system is called Universal Express Pass and unlike Fastpass+ at Walt Disney World is not free. Our guide has information on Express Pass and whether you should consider purchasing. What is Universal Express Pass? Universal Express Pass allows you priority boarding at the majority of attractions at Universal Orlando Resort. 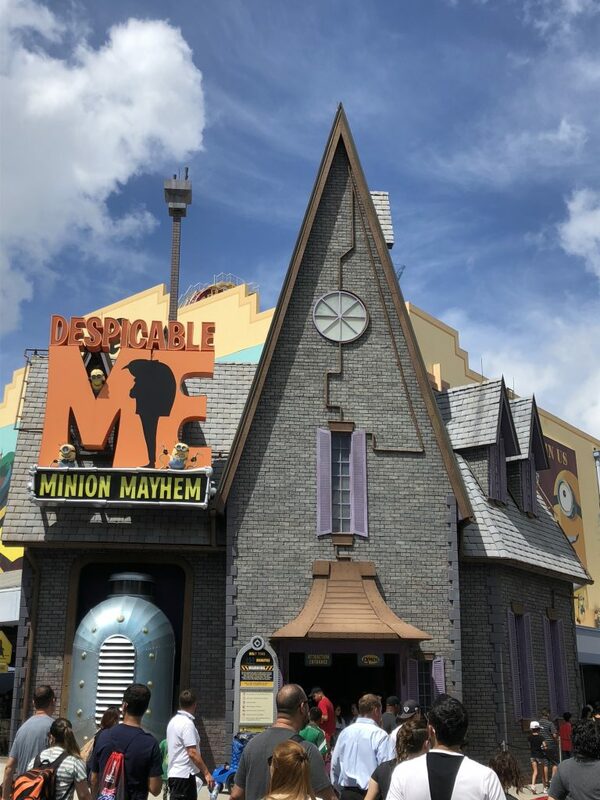 Simply present your pass at participating attractions at either Universal Studios Florida or Universal’s Islands of Adventure to bypass the regular lines. You will join a shorter Express Pass line and have reduced wait compared to the regular line. There is also an option available at Volcano bay which we will discuss below. This varies by attraction and will be less than the regular line but it is not front of the line access. Universal aim to ensure your wait is never longer than 15 minutes, but this is not always achieved. Is it valid for all attractions? Express pass is not valid for Fievel’s Playland or Pteranodon Flyers. What type of tickets are there? Universal Express Pass allows one admission to each attraction a day via the Express Pass line. Universal Express Unlimited Pass allows unlimited admissions to each attraction via the Express Pass line. You also have a choice of choosing whether to book a 1 park only ticket or a 2 park ticket. Express Pass is not cheap. Passes are more expensive during peak periods and can cost as much as $170 a person plus tax. Also, park admission tickets are still required, and you must have a park to park ticket if booking a 2 park pass. The number of passes is limited. However, the actual number available is not advertised. It is best to book in advance if your itinerary is set. Can I use my Universal Express Pass any day? No, your Express Pass is only valid on a specific date. If you do not attend for any reason you will lose your money. It is essential your dates are set before purchasing. How else can I get an Express Pass? Guests staying at select Universal Resorts get Complimentary Express Pass Unlimited included as part of their package. Currently, this is only a benefit for guest staying at Portofino Bay, Hard Rock & Royal Pacific Resorts. You should budget carefully before purchasing an Express Pass as staying in one of these resorts can often work out cheaper especially if there is 4 of you in a room. Your Express Pass will be valid on both arrival & departure dates. Guests who purchase one of Universal’s costly VIP Tours receive an Express Pass as part of their package. The final way of getting an Express Pass is purchasing the top priced annual pass called Premiere Pass. Premiere Pass comes with a list of benefits including daily Universal Express Pass 4pm until close. 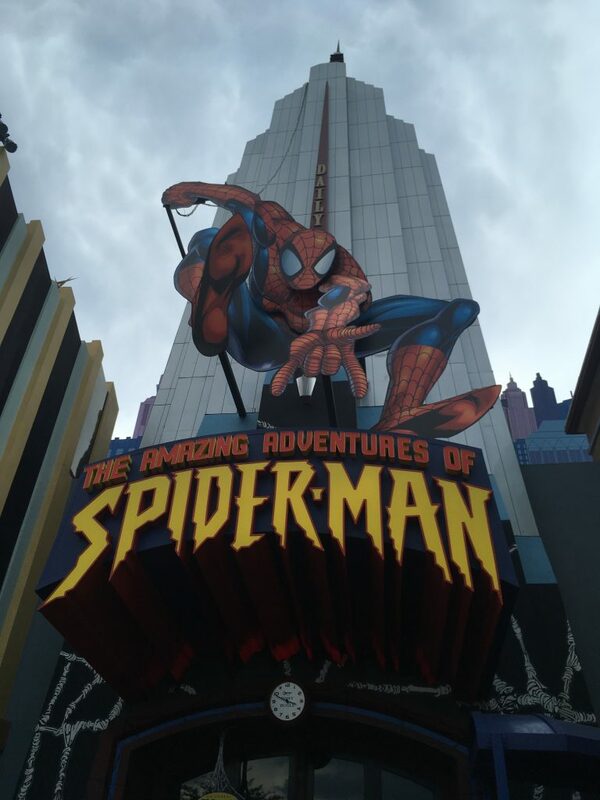 The Amazing Adventures of Spider-Man, possibly the best ride at Universal Orlando? Is Express Pass worth buying? 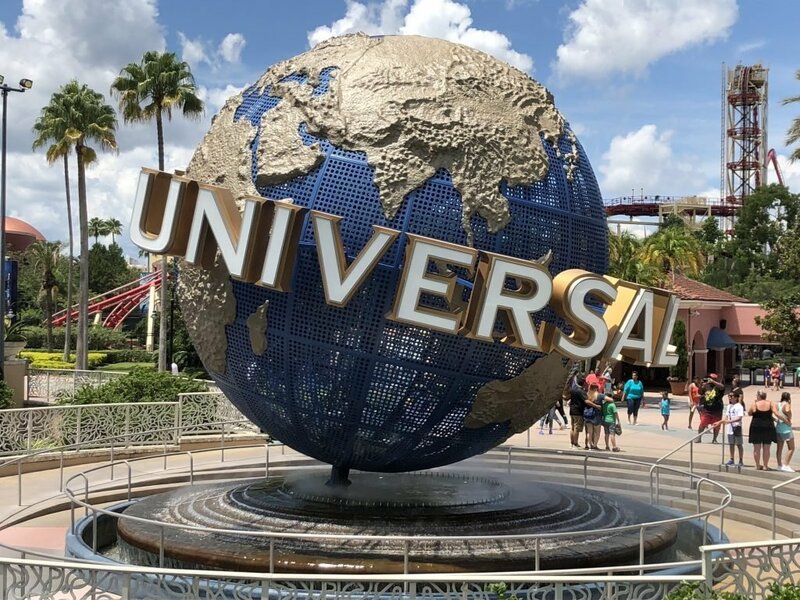 This is a difficult question to answer and depends on your itinerary & your budget.If you are only visiting Universal for 1 or 2 days then purchasing Express Pass should be considered. It would be difficult to complete both parks without Express Pass if your time is limited. During peak periods having a pass is essential for many guests. However; for a family of 4 this can add $700 a day to the cost of your vacation. Not purchasing will mean longer waits and fewer attractions. It is certainly worth considering staying in a Universal Resort and making use of the complimentary pass. 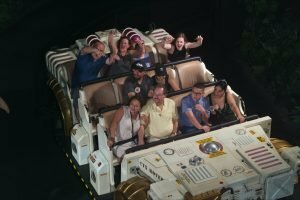 In our opinion, Express Pass does give a premium park experience but it is not cheap. I prefer the Disney system which allows equal access to all guests. However, Mrs. Modernlifeisgood’s opinion differs and she prefers Express Pass. Buy your tickets in advance. Lines at ticket kiosks can be very long and are often over 1 hour. Make sure when purchasing tickets your agent supplies hard tickets. Vouchers have to be exchanged at the same ticket kiosks! Arrive early and don’t head straight to Harry Potter. Other attractions will have much shorter waits in the first few hours. Complete as many rides as possible before heading to Harry Potter. Avoid Peak Season if you can. Avoid the summer storms! During the Summer Season, there are daily afternoon storms and attractions will close during these periods. Use the single rider line. Many attractions at Universal Orlando have a single rider line. The family will ride apart, but waits are often shorter than via the Express Line. Express pass is available at Volcano bay and allows you to skip the Virtual Lines. Simply turn up at any time and you join the line, There are 2 options available a pass that allows access to Select attractions only and a more expensive option that allows access to all attractions. Resort complimetary Express Pass does not cover Volcano Bay and therefore hotel guests will have to make an additional purchase. 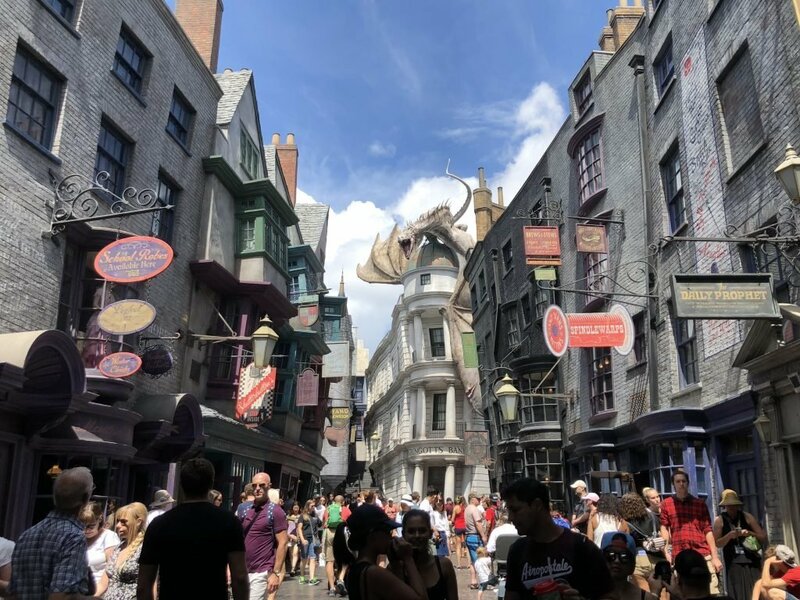 Our Guide to Universal Orlando is great starting point to plan any vacation to Universal Orlando.